There are houses, like the one of Guerlain, that are “transmitters”. Passing on history, feelings and moments, like a memory of timeless olfactory sensations to transmit. And for generations, this memory is passed on from mother to daughter. For Mothers day, on 20th and 27th of May, Guerlain offers (in the store rue de Sèvres) your personalised engraving on its iconic bottles: a few words engraved on a perfume… What could be a more tender souvenir for future generations? 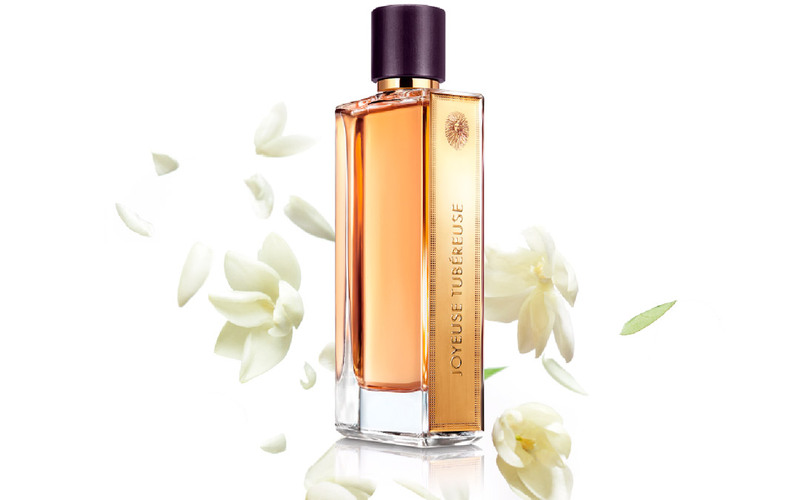 With “Joyeuse Tubéreuse”, the bewitching flower, the queen of white flowers, the diva of the perfumers, you choose the timeless. The tuberose is one of the rare flowers from which you can –using solvent techniques such as ethanol– extract a so-called “absolute” essence: the must. Refreshed by a “green” departure, it cultivates a white, pure heart and “petal”, then softens it all gently in a backdrop of subtle vanilla scents. It evolves into a milky and sunny roundness as if the House of Guerlain had picked a garden flower that reconciles desire with refinement. The creativity of a talented nose, Thierry Wasser –La Petite Robe Noire, L’Homme Idéal– spiritual and convivial, “son of Guerlain”, claims the idea of exulting the ingredients, and he does it with panache! To sublimate this fragrance, a true privilege, a flawless case, and the perfumery, an artistic craft that never tires to excel. You will leave with a “leather feel” case that you can change as you wish into a jewellery box… or a box of secrets. And to finish, you will enjoy the very finest of service: a care diagnostic, a perfume consultation or a flash makeup. 15 precious minutes are graciously offered: dear readers, make the most of this moment, especially for you! And double the pleasure for him, since the new perfume for men is released on 2 May.